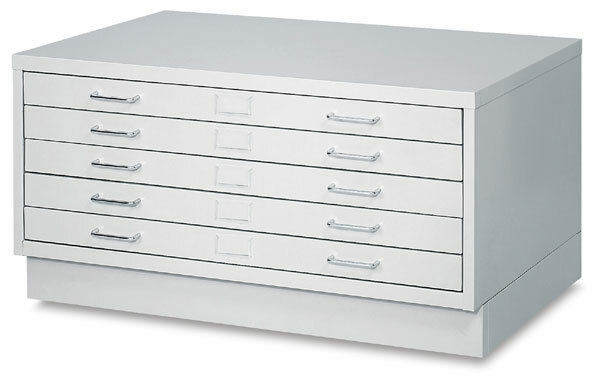 Safco Facil Flat Files are an economical solution for all your non-archival storage needs. The units are constructed of steel to ensure smooth operation and long lasting wear. They're stackable up to two high on a closed base, and one high on a high base. Light gray powder-coated finish. ® Safco is a registered trademark.  Facil is a trademark. ® Greenguard is a registered trademark.